Their Graces, Bishops Ezekiel of Dervis and Iakovos of Miletoupolis, and the speakers (Protopresbyter Dr Doru Costache, Dr Philip Kariatlis, and Mr Basilios Psilacos) accompanied by the organisers and attendees. Their Graces, Bishops Ezekiel and Iakovos, accompanied by the speakers and two postgraduate students of the College, Dimitrios Marcou and Vasili Le Couilliard. Mr Daniel Bellis, co-organiser of the event, introducing the speakers. 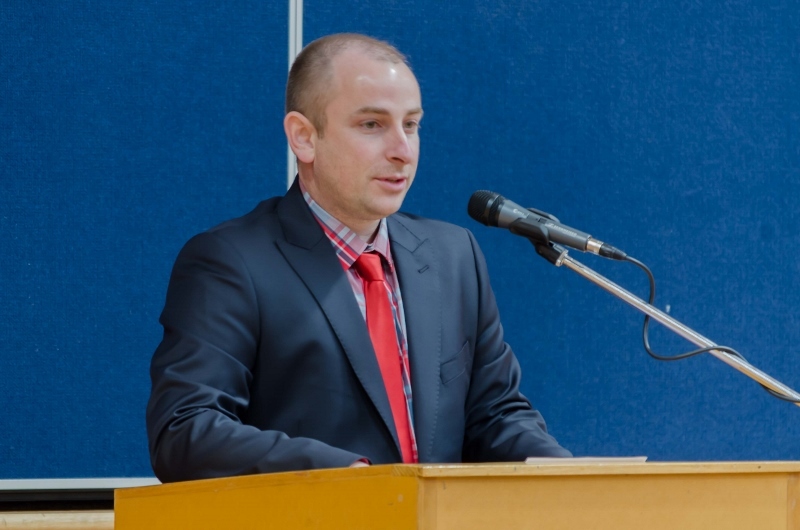 Protopresbyter Dr Doru Costache presenting on 'Patristic Insights into the Mystery of Baptism and the Spiritual Life'. Dr Philip Kariatlis discussing 'The Meaning of Baptism and its Significance for our Everyday Life'. Mr Basilios Psilacos presenting on 'The Structural Overview and Meaning of the Ritual of Baptism'. 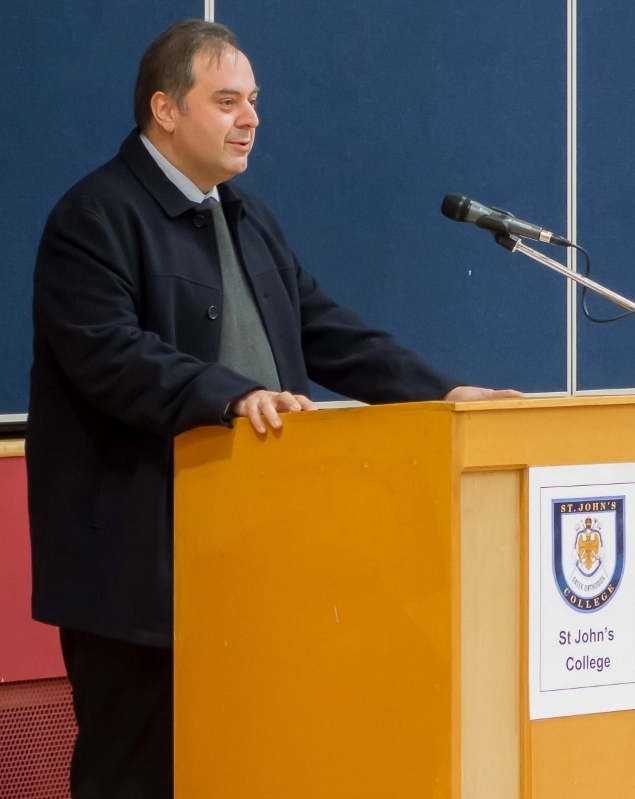 On Saturday 27 July 2015, St Andrew's delivered a series of catechetical lectures on the topic 'Being Clothed with Christ' at St John's College, Preston (VIC), as part of its Adult Faith Education Open Learning (offered to the public for the third year in a row). 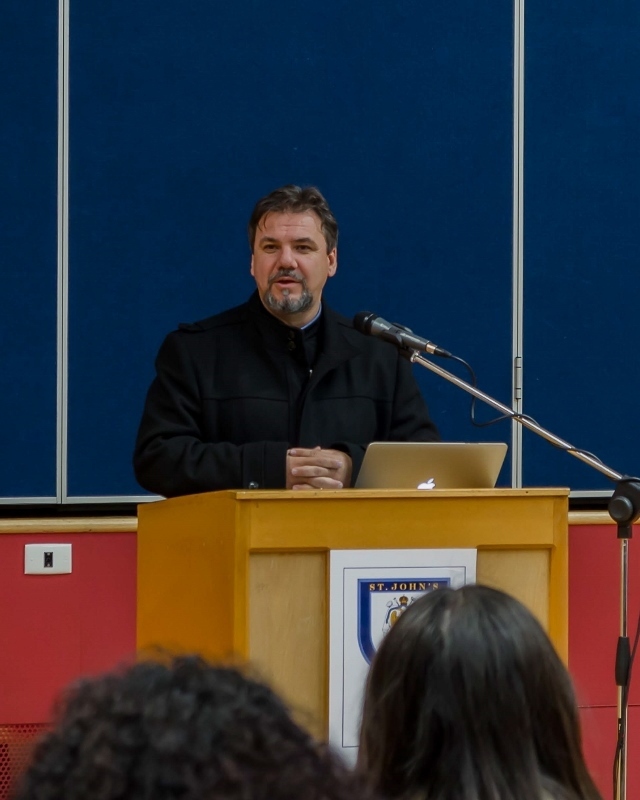 Protopresbyter Dr Doru Costache (Senior Lecturer in Patristic Studies), Dr Philip Kariatlis (Senior Lecturer in Systematic Theology), and Mr Basilios Psilacos (Teacher in Liturgical Studies and Byzantine Music) presented to an audience of 100 people, incl. Their Graces Bishops Ezekiel of Dervis and Iakovos of Miletoupolis. 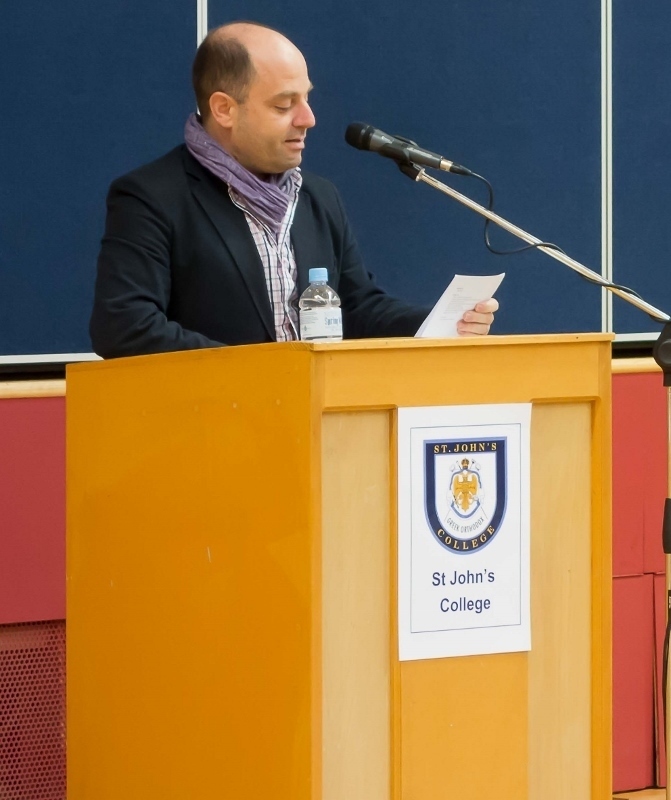 A special thank you to Their Graces for their participation, Mr Daniel Bellis and Ms Kerrie Neophytou for overseeing administration, and all those who assisted and attended.